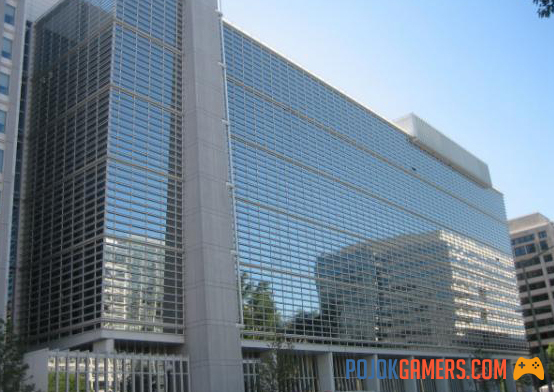 The World Bank has again issued a controversial decision. Last April, they proposed to developing countries to reduce a number of labor regulations. Among the rules in question are the minimum wage, the severance pay and the employer's power to recruit or suspend workers. In other words, the World Bank wants a more flexible working relationship. "In many cases, labor regulations - including minimum wages, barriers to hiring and firing decisions, and severance pay - have made it expensive for the workforce to adapt to technological change. ", writes the World Bank in a working report entitled World Development Report 2019 (PDF). According to the institution created after the Bretton Woods Conference in 1944, the proposal aimed to prepare poor countries and developing countries to cope with changes in the industrial landscape. The change they hear is what marketing professors often celebrate as the "Industrial Revolution 4.0". "Industrial Revolution 4.0" emphasizes the use of artificial intelligence (artificial intelligence) and automation, so that human labor is less and less necessary to operate the machines of the factory. The World Bank believes that low-handed labor regulations for employers can be an opportunity for businesses and have a positive impact on the overall employment climate. By creating a better business environment, notes the World Bank, "of course more and more companies have managed to reach the top." In compensation, the World Bank offers so-called "new social contracts", one of which encourages more investment in human resources. The reason is that investing in human resources "can increase opportunities for workers to find better jobs". The World Bank's findings in this year's recommendation report contrast with what they said five years ago in the same report. At that time, the World Bank had stated that labor regulations had virtually no impact on employment rates. Workers opposed this proposal from the World Bank. Representatives of the International Trade Union Confederation, Peter Bakvis, said the proposal was a setback. Bakvis said the recommendation was not in line with the shared prosperity agenda initiated by World Bank President Jim Yong Kim, and argued that the proposal "almost ignored workers' rights." "This vision would free businesses from the burden of social security contributions, allow them to pay as low as they want and fire as they please," Bakvis told The Guardian in Washington DC. During his stay in the country, the Secretary General of the Confederation of Indonesian Trade Unions (KSPI), Muhammad Rusdi, rejected the speech unequivocally. According to him, if Indonesia abolished the minimum wage system or severance pay, that would only benefit society. While workers or workers will not be fulfilled. "It's a policy that becomes modern (basic) slavery, not very different from the Romusha era or forced settlement policies," Rusdi told Tirto on Sunday (27/05/2018 ). Rusdi said the minimum wage policy offers life opportunities for workers. With these rules, workers have income security to support their families. If the provisions are removed, he explained, "we can be sure that the workers will be poor and unable to live". This time around, the World Bank is not considered to be in favor of the workers. Shortly after the World Bank issued a recommendation that workers' rights be castrated, two NGOs, Popular Action for Development (PAD) and Promotion and Promotion of Justice, Harmony and Rights of Adivasis (PAJHRA), had brought legal action before International Finance. Corporation (IFC), a partial investment company of the World Bank.